the front and center speakers. Use the adhesive to attach 4 pads to the base of each speaker. far left for optimal surround sound. SURROUND arrow on the front speaker. operating instructions for more on the Front Surround modes. running long speaker cables in your listening area. on top of the front speaker. pads to the base of subwoofer. 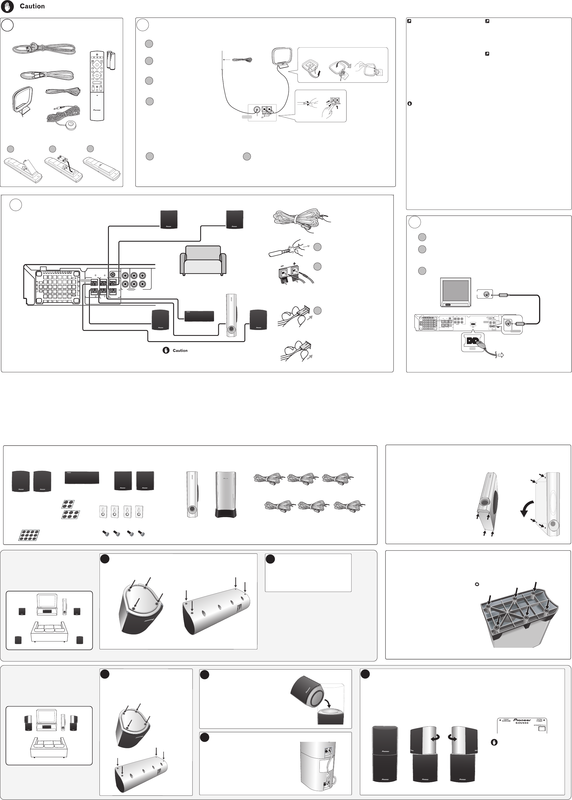 * Please refer to Wall-mounting the front and surround speaker system in the operating instructions for installation. ceiling; they could cause injury if they fell.